At a time when a significant number of the industry’s top publishers are struggling financially, a slew of municipalities are pushing required opt-on/opt-out legislation for the printed products, and a substantial economic downturn/weak recovery has small businesses keeping a tight grip on their advertising expenditures, one would expect the annual industry conference from the Yellow Pages Association to be a somber gathering with lots of doom and gloom. Yet, that wasn’t the case at the April 15th – 19th event held in Las Vegas. It was certainly not an overly exuberant crowd of about 375 attendees, but one that overall was more optimistic than those who attended last year’s event. The Local Search Association represents the best local search marketers in the world. We will continue to serve our long-time Yellow Pages members as well as the ever-expanding universe of companies that connect local buyers and sellers through digital advertising, social networking and mobile platforms. In the past decade, our industry has evolved from a coalition of companies that publish print directories into a collective group of integrated local search hubs – both in print and online. Because we’re expanding on our original mission of serving Yellow Pages publishers, the Local Search Association is pleased to have these new members – CityGrid, MerchEngine, Kudzu, Telnic Limited, Kenshoo, Thrive Analytics, deCarta, dotMobi, VendAsta Technologies and NO PROBLEM, because they face many of the same opportunities and challenges as our traditional member base. Given that recent association research indicated that while nearly 70% of US adults still use the printed version of the Yellow Pages directories on a regular basis, the Internet and fast growing mobile web are certainly drawing increased usage. As a result, the association thought the time had come for a re-focusing of sorts that presents the Yellow Pages as more than just print and a readily available online local search tool. That small/midsize businesses (SMB’s) are an “overwhelmed and underserved” group. Investment is critical, that YPG has been more aggressive than other directory organizations. And bucking the trend of many publishers, that outsourcing is not his preferred route. Mobile advertising will grow from 15% of the online advertising market to more than 60% in 2015 (Borrell Associates). Nearly half of SMBs report using Facebook for their business (BIA/Kelsey research), and another 19% use Twitter. Social networking sites now account for more than one-third of all online display ad impressions according to Comscore. GPS capable handsets grew 16% year over year and now represent 73% of total US mobile users. Smart phones grew 54% and now reflect 28% of total US mobile users. Nearly 70 million people in the U.S. owned smart phones in February 2011 an increase of 13% from the preceding 3 month period. IYP searches increased 15% to 5.6 billion. Bill Dinan of Telmetrics is the Associates board representative. Environmental issues continue to be a big item on the Associations agenda. Norton talked more about efforts in San Francisco, to stop new opt-in legislation. The Association was joined in a unique coalition fighting effort by groups such as Valley Yellow Pages, AT&T, Seccion Amarilla, the IBEW labor union, The Utility Reform Network, San Francisco Chamber of Commerce, ADP association, Chinese Yellow Pages, Rainbow Pages, and other local consumer advocate and business groups. Norton highlighted industry successes in recycling rates. Last year, according to the EPA, directory recycling rates improved from 22% to 35%. This represents a dramatic shift in both source reduction and recycling rates. In our next article, we will cover presentations from other speakers, what we found at the conference from the industry suppliers, and those companies recognized in the annual Industry Excellence Awards. Stay tuned. If you ask sales managers what one of the most common mistakes they see even the best of sales reps make from time to time, it is simply: talking too much. Other research has shown that when a customer isn’t happy with a salesperson, it is usually symptomatic of a rep that didn’t probe enough to understand the businesses true needs, or actually listen to what the customer was telling them. Instead, the rep usually tries to short cut things and launch a full frontal selling siege on the customer. Of course, this isn’t a good selling practice. But during a time when most reps are being pressed for better results and higher sales productivity, are you surprised? Some people are natural listeners, while others are chomping at the bit to speak, continuously!! Here are some suggestions on how to improve your focus on what the customer has to say. Get ready to listen. Before your meeting starts, check all those personal issues at the front door. You need to be attentive and concentrate on hearing what the customer has to say. Start with a set of good probing questions. The probing phase it really pretty basic (in concept) — ask good questions, then wait for the answer. This is not just being polite; it also shows that you respect your question enough to wait to hear a real answer. The best indicators that you hear and understand someone come from your questions and how you ask them. Replay back what you hear. For example: “Tom, thank you for sharing that with me, what your telling me is that X, Y, and Z are very important to you, correct?” This technique makes sure that you are tuned in and listening. It also confirms what you thought you heard. Show some empathy. There is no question that this bad economy has had an impact of all businesses, especially small business. When you hear the difficulties, issues, and challenges they face, acknowledge how difficult it must be for them. If you respond to human issues, people may be ready to develop a relationship with you when it comes time to focus on the business items. Seize opportunities to inject some humor. In the course of natural conversation, a little humor enhances what may otherwise be an overly serious, perhaps even negative situation. We’re not talking about sarcasm, but more a lighter moment between two people. No, you’re not expected to be a stand-up comic. But seize the moment when a humorous comment helps the conversation along. Note the non-verbal communication clues: These can range for facial expressions, tone of voice, body gestures, and more. Repetition of certain words can also be a sign to consider. These can all be telling symptoms for what the customer is thinking. Know the value of silence. A brief period of silence is ok, and will generally cause whomever speaks next to produce a more quality, in-depth response. It also allows both of you to regroup and process on what’s just been said, to ask additional questions, seek further clarification, or provide even more information. Take the time to care. Take the time to listen. Take the time to complete the sale. The Local Search Association (formerly the Yellow Pages Association), released its second annual sustainability report. One key finding according to the Environmental Production Agency (EPA) – recovery/recycling of books increased to 36.9% (up from 21.4% the previous year). The result is an affirmation of the industry’s efforts to be good environmental stewards in the local communities they serve, and the proactive efforts they have taken to help improve recylcing rates. Telephone directories continue to only represent 0.3% of the solid waste stream, significantly less than newspapers (3.2%) and office paper (2.2%). The upgraded consumer website (www.yellowpagesoptout.com) that makes it easier for consumers to choose to reduce or stop directory delivery. Directory paper demand decreased an additional 8.1% in 2010. Since 2007 the total paper demand is down nearly 35%. The Association continues to build an array of strategic partnerships focused on environmental, economic and social performance. While the release has been picked up but most news organizations, the silence from industry critics has been deafening. I guess when an industry achieves the kind of results it has compared with other industries who have done little to nothing to deal with their waste contribution, it makes criticism of the Yellow Page industry seem a bit silly. The full report is available at the Association’s website (www.localsearchassociation.org). Front Door Insights LLC., the leading provider of Short Code enabled Mobile Marketing solutions for the independent Yellow Page directory publisher community, has announced that it has signed an agreement to license its software and associated suite of services to Everyday Yellow Pages, based in Arlington, Texas. Front Door Insights’ platform includes an industry leading suite of services and intuitive web-based software that is easily White Labeled and re-branded for seamless reselling opportunities. Resellers have the opportunity to set their own customer pricing, offer an online payment gateway and bring an increasingly important mobile and digital product range to their existing customer base. “We’ve been researching and seeking new technology that will help our Company and customers thrive in the new digital local search landscape and we’re very excited to start implementing Front Door Insights’ mobile marketing solutions very soon,” stated Todd Baldwin, President of Everyday Yellow Pages. Customized “call to action” graphics have been developed by Front Door Insights specifically for print resellers. The “call to action” graphics create instant interactivity when incorporated into traditional print advertising. Front Door Insights LLC., the leading provider of Short Code enabled Mobile Marketing solutions for the independent Yellow Page directory publisher community, announced that it has signed an agreement to license its software and associated suite of services to Consolidated Communications Directory Services, based in Conroe, Texas. Customized “call to action” graphics have been developed by Front Door Insights specifically for print resellers. The “call to action” graphics create instant interactivity when incorporated into traditional print advertising as well as our online directories. . “We are very excited to have a great company like Consolidated join the other 10 publishers using our mobile marketing platform” stated Tom Tolbert, CEO of Front Door Insights. Proving the relevance of call metrics for any digital media, Telmetrics, the leading provider of advertising call measurement solutions, has announced that it has been selected by Yelp, the community-led local search and reviews site. Yelp, which receives more than 45 million monthly visitors and has more than 16 million reviews, will use Telmetrics’ call tracking solutions to help measure the volume of phone calls the site is driving to Yelp-listed businesses. “We look forward to working with Telmetrics to better understand the impact and value that Yelp profile pages can deliver to businesses,” said Lemar Hight, director, business operations and finance. Telmetrics’ call measurement products validate the performance of local search advertising for hundreds of thousands of SMBs and national franchise locations. In addition, call counts from unique phone numbers can be analyzed for operational efficiencies, lead generation insights and ad program optimization. For more information, visit www.Telmetrics.com. Webs (http://webs.com), the popular, do-it-yourself suite of web, social and mobile presence solutions for small businesses, today announced a distribution partnership with U.S. local search company Ziplocal and its sister company, ImmersiFind, a local search platform used by directory and newspaper publishers worldwide. The agreement will allow Ziplocal and ImmersiFind to provide their small business advertisers with greater online presence through custom websites and Facebook fan pages. Ziplocal, with a sales force of more than 750 people, sells results-focused advertising solutions to local businesses, who are increasingly interested in expanding their digital presence. ImmersiFind is a local search platform used by Ziplocal and many other directory and newspaper publishers worldwide. They will use the Webs platform and its powerful suite of tools to sell custom-designed websites that are also optimized for mobile devices, and Facebook pages to their advertising customers. Webs will be private-labeling their solutions so local businesses can continue to seamlessly maintain editorial control over their online presence through a simple and effective solution. Ziplocal today announced the launch of its LocaLeads Ad Network. Providing national brands and advertising agencies with one-stop access to hyper local, results-based advertising opportunities, the LocaLeads Ad Network will harness a network of print publishers in more than 1,000 markets across the country. The LocaLeads Ad Network leverages a pay-for-results model that provides expert-verified leads for advertisers seeking to reach local audiences through a national partner. The online and mobile ad network, which launched late last year, is enhanced with the addition of print directories and media publishers on the ImmersiFind platform and gives these publishers access to national ad content and new income through Ziplocal’s revenue-sharing model. 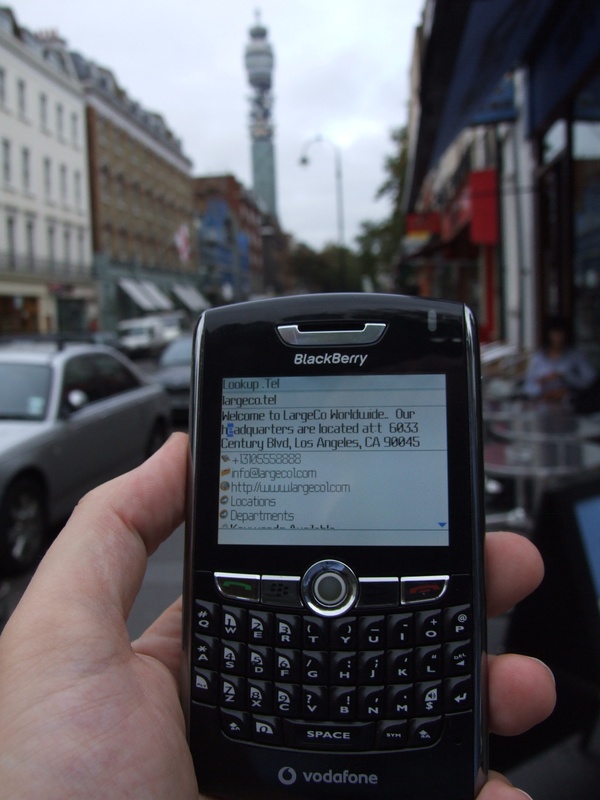 Under the LocaLeads model, ads are distributed throughout the network and published in local media with a unique call tracking number (CTN) for the consumer. The unique CTN ensures advertisers only pay for verified sales leads and the revenue generated is shared by LocaLeads with the media outlet that published the ad. For more information, visit www.localeads.com. Fry Communications (www.frycomm.com) has begun installation of a new Muller Martini Primera saddle stitching system. This state-of-the-art stitcher brings the highest levels of automation and reliability to this binding process. It will begin running in June of 2011. Sorry Bill Gates. But, based on some recently released new research from AT&T about the usage of print directories, the print Yellow Pages are far from dead. 69% say they have used the AT&T Real Yellow Pages within the last year. the survey use YP.com, up 17% from just a year earlier. When combining both print and YP.com, 78% of those surveyed said they used at least one of the products within the past year compared to 77% a year earlier. M/A/R/C Research has 46 years of marketing research experience so I’m not sure that paper atheists can claim (even if they will try) that the study data was fixed as it was validated by credible, third-party research. In case some are concerned, the company interviewed more than 50,000 consumers at least 18 years old between January and December 2010 in 125 major markets (obviously within AT&T’s service areas) using statistically valid surveys meeting Advertising Research Foundation guidelines. But that’s not all, as the AT&T release also refers to a CRM Associates’ just-released 2010 Metered Ad Study of 14,600 advertisers with the same-size ad and heading in 2009 and 2010. This effort noted that calls increased from 5.7 million calls to 6.3 million – or a 10% increase across the entire set of ads. This increase follows a 3% increase in calls in 2009 compared to 2008. Sixty percent of individual advertisers experienced an increase in calls in 2010. And no one wants or uses these books anymore?? The conclusion that print Yellow Pages are still a valuable tool for advertisers and consumers is one which will likely startle internet insiders/purists and opt-in proponents. Even industry analyst Greg Sterling notes on his blog, that the print numbers were much healthier than many believe. A third confirming piece of research was also mentioned by Ray, covering more than 20,000 unique metered phone numbers (where the number only appears in print ads) which generated an average of 18 calls per month to a diverse, wide range of advertisers. Those print Yellow Pages ads with unique URLs which allow tracking are also averaging a half dozen online look ups each month. So clearly, consumers are using print and Internet sources together. Print Yellow Pages are not dead yet, and will not be for a very long time. They remain the most effective directional media available in what should be a multimedia advertising mix for small and midsized businesses. In the seven plus years we have published YP Talk articles we have looked at hundreds of new products and services being introduced to the Yellow Pages industry. Each in their own way, have had something they could contribute to the industry. However, none of them could have the impact that the introduction of the .tel domain will. In effect it can be a simplified online contact hub for people or businesses where you only need to remember one name to reach someone, regardless of how often their specific information is changed or updated. Kind of like a Yellow Pages on steroids. To understand more about the potential for this new service we spent some time with Justin Hayward, Business Development Director and Ian Bowen-Morris the Chief Marketing Officer of Telnic Limited to discuss how this powerful new tool could be used by the Yellow Page industry. YP Talk (YPT): With so many potential ways this new domain name can be used, where is Telnic focused? Justin Hayward (JH): Our focus primarily is talking to those organizations that can bring the potential of this new medium to businesses as well as business professionals. This product is targeted to be used by every individual and business connected to the internet and every way they can be reached — that is a massive opportunity. People have begun using the domain as an opportunity to connect with more customers through the internet regardless of the device that accesses it. For directory publishers we have been focused on demonstrating how integrating .tel can enhance their customer value propositions either by simply bundling with print ads to accelerate new media growth or as a logical extension of their online visibility packages for customers. Ian Bowen-Morris (IB-M): Everybody is aware that user behavior when searching for local products and business services has changed over the past 10 years. Print is still important but internet local search often now in a social media context has become increasingly more relevant and important for publishers. We all have a lot of different kinds of information to keep organized. Now add mobile devices, which have really come into their own over the past couple of years. So with all of those different devices you have to target customers in different places and formats. At the end of the day trying to market your own personal or professional skills or your products and services that have to be delivered to potential customers has become very complex as more and more communication channels emerge. JH: So to have the ability to update all of that info is a powerful thing. As the Registry, we can’t go directly to those customers so we work through a channel that is engaged with those groups. This is where the huge opportunity for internet based Yellow Pages companies, local search, directory assistance, or online marketing services can come in because they are engaged with an audience that many of our existing channel partners – domain name registrars – are not really working with; mainstream customers that understand the value of on line presence and being discoverable. IB-M: With the low cost of delivery for .tel domains and the ability to integrate all of those services within the price of that domain, it’s a very appealing product for potentially upselling to those customers which might only have free listings within the online and off line yellow pages. It can also be an incremental step to the benefits of a domain fully under their control, with potential for more value added services and then onto a more traditional website product at a later date. 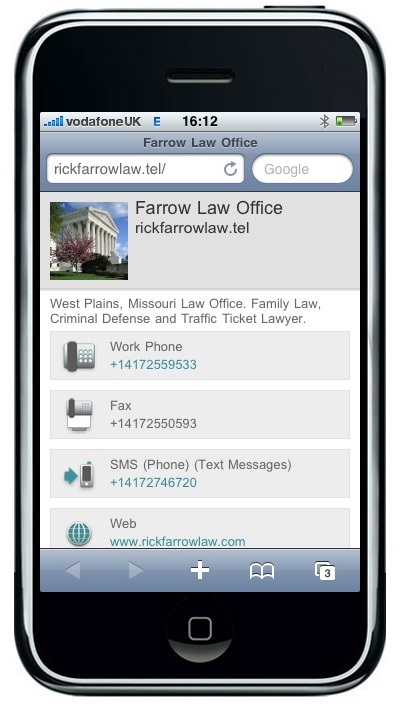 It is instantly accessible to mobile devises. It is a very valuable add-on to a customer that already has invested quite a bit in their traditional websites and simply wants an optimized mobile version too. It’s a very credible and compelling sales pitch that sales folks seem to get straight away. YPT: How will you be promoting the new domain in the US, as it is not widely known at this time? IB-M: Right now our model is to work with our partners so that any advertising spent is really targeted towards deliverables. As we can’t sell direct, just pointing people back to our website is simply not a very good use of advertising dollars. We are more inclined at this point of time to work with our partners and our distribution channels to do more marketing outreach. For example, last year we worked with Network Solutions to run some television ads and with Bloomberg television again focusing on the business-orientated side of the market. We are always assessing the market and looking at those opportunities. What we’re really trying to doing is to establish a channel to provide a great offering to those SMBs to make the maximum noise. Yellow Pages companies know their markets very well, have strong established brands and are trusted marketing advisors to their SMB customers. We believe they are best positioned to promote .tel domains as part of their ad offerings and establish.tel in the minds of users by including it in listing details. 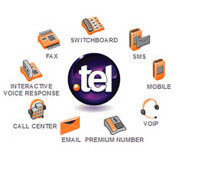 The mental shorthand we want users to have when encountering the domain in business listings is that .tel = a reliable source for all of that merchant’s contact information. We will actively support partners with dollar investments in this kind of widespread and committed sales and marketing activity. YPT: Is this platform open to any abuse such as someone registering a name while pretending to be someone else, and then leaving bogus contact details such as premium phone rate numbers?? JH: Two things on that: Cyber-squatting is a domain name industry issue and has an industry response to it. If a company has a trademark then there is a standard process called the Uniform Domain-Name Dispute Resolution Policy (UDLP), which is administered by the World Intellectual Property Organization (WIPO). If they find that somebody has registered a name that is effectively being used like that, the organization can take their case to WIPO for resolution. Second, if you do click on the number and find it is something like a premium number, you can report them to the domain owner to have it taken down, prior to resorting to the normal legal recourse for false advertising. YPT: Which publishers are currently marketing .tel?? IB-M: We are test marketing with most of the leading yellow pages publishers around the world, providing their product and sales teams the opportunity to familiarize with the product and figure out how best to integrate it. 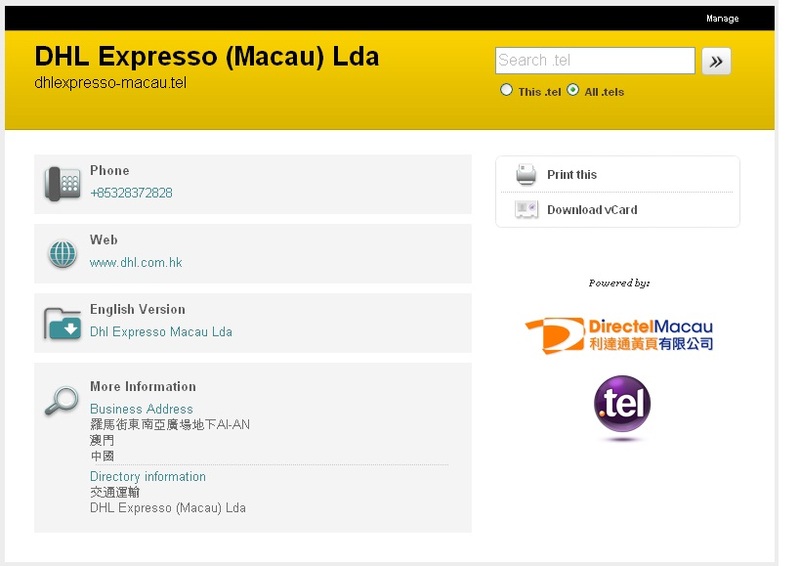 Those that have been quick to seize the opportunity include Directel Macau Yellow Pages, the Philippines Directory Publishing Co., and Al Wahda Express Group, which publishes yellow pages in United Arab Emirates, Egypt, Saudi Arabia, Turkey and Palestine. HC 360 International which is based in China, is a business to business portal provider which has already registered some 50,000 .tel domains/customers in one week in January of this year. In the US, so far we have signed up Universal Business Listings and WebVisible, both of whom are integrating .tel’s into their product and service offerings. We have active trials working with several groups in the US and Europe that we can’t talk about just yet. YPT: How do you support publishers? IB-M: There are two ways of working with publishers – 1. When a publish er includes this in their product offers, typically bundling it as part of an online visibility package, there are no huge development or set up costs because we provide all of the hosting, it’s practically a turn-key solution. To offer a .tel domain to its customers, it only requires that publishers register the domain name on their behalf and then feeds the contact and information details from its customer content database. This can be done manually or automatically by interacting with our ready available API technology. Volume executions enable us to provide additional support; for example we can make available our .tel domain hosting platform so publishers can manage everything directly. We can also make certain changes to the design of the .tel page to include dual-languaging and publisher-consistent color and branding. This is important as yellow pages publishers typically want users and advertisers to feel that .tel information is authoritative and from a source they can trust and it looks and feels like that. It is also an excellent way of increasing brand exposure as fully bundled it can effectively double a publisher’s exposure in search engine results pages. JH: In terms of being able to source the unique .tel domain, a publisher could either work directly with existing ICANN-accredited registrars. This is the fastest way that publishers can get up and running and testing the market, many already have approved domain vendors that probably offer .tel. Alternatively, a publisher can apply to become an ICANN-accredited registrar themselves. It takes about 6-8 weeks and a couple of thousand dollars. It is a very simple application process. IB-M: This really would not be a challenge for many publishers as they recognize the critical value of managing a merchant’s contact information and they are already helping small businesses establish their main web presence. 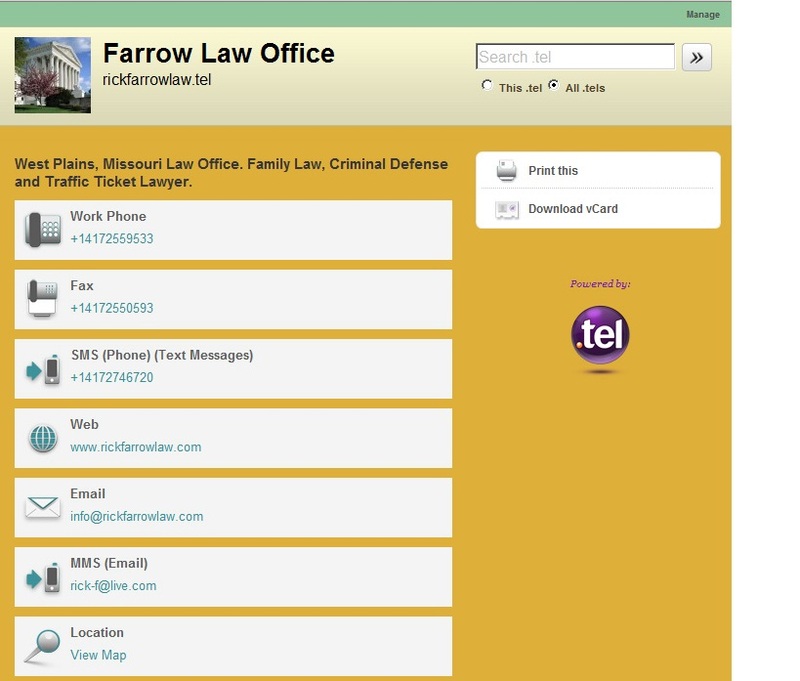 So it would be no more difficult for them to do than simply asking their registrar to add .tel to the list of domains so they could actually register on behalf of their customers and quickly and efficiently populate them with quality content..
JH: But in terms of support, we are ready, willing, and able to help in any way we can. There are a number of other levels below what you simply see through a search engine, or by typing .tel into a mobile or PC browser. Those additional layers of functionality could include the delivery of coupons – daily deals or even hourly deals, and other types of targeted advertising delivery. There are many opportunities above and beyond just seeing it as a landing page for customers. There is already a proof of concept trial running on Twitter at the moment where you could potentially text a short code number to say “look up such and such a domain” and it will send the top 3 pieces of contact information back to you. There are a number of different ways for people to access the information and the ultimate vision is that with critical mass, we can enable people to actually dial .tel domains directly from their cell phones. YPT: How much does it cost to register a .tel domain? IB-M: That really depends on the registrar, but we’ve seen rates anywhere from $9.99 up to $35 per annum, with higher pricing also including other services. Pricing is extremely competitive between registrars, but we can help publishers negotiate with registrars especially when there are looking at volume orders. Typically when included in the price of an average print, online or combined bundle for a customer, the unit cost of a .tel for the publisher is negligible given the the added value. Publishers can simply choose to reflect that cost in adjusted rates or absorb it and take the revenue upside from increased renewal rates as customers are perhaps more likely to renew a proposition that includes their unique business domain storing all their contact details. YPT: How does a .tel domain do in search rankings? JH: It is no better or worse than a .com, but when you consider the effort it takes to be able to get .tel to rank highly within search results and consistently across search engines, then I believe .tel is the winner because there is effectively no coding involved, no fiddling around with the HTML code or tags. 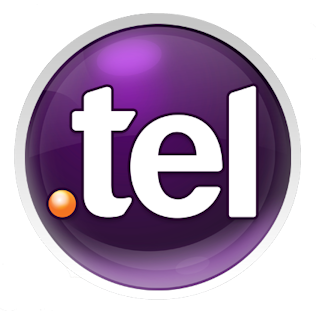 A .tel domain is set up with micro formats supported already. For this format Google takes a look at it and says “I understand this is contact information” and because they are very light weight and optimized to resolve very quickly within a browser, we’re actually following very much best practices of search engine optimization. Obviously, the only difficult element of following good SEO is the longevity of the domain, how long has it been around. But what we are seeing from tests is that .tel domains are not only getting indexed very quickly, they’re actually providing some very good optimization rankings at this point in time. Of course, we all understand that search engines can change their algorithms whenever they like. IB-M: One of the things .tel can help you do for a directory publisher is to link their listings with the customer’s existing website. That provides the power of three sources of information that are underneath your control. .tel is, as far as we can gather from unofficial conversations that we have had with contacts in Google, not considered to be duplicate content. We’ve seen with some of the tests that we’ve done .tel domains and Yellow Pages listings appear on the same page in close proximity and depending on what the content is, sometimes the .tel is higher and sometimes the YP listing is higher. Hence, getting those listing together gives you a great bang for your buck, and provides more opportunities for someone looking for information about new customers to actually click on one of those two links. YPT: You also recently announced the launch of short (2-character) and numeric .tel names starting June 1st? Is this a big addition? JH: Well, it opens up many different kinds of opportunities. Now we can start talking about directory assistant type services where someone will phone and would like to contact with the XYZ Company. That gives the directory assistance provider the opportunity to send back in a very short message all of the ways that customer can get in touch with XYZ. The simple way is to provide the customer with the number.tel which they can click to see all of the ways you can contact that company. It is very lightweight, very accessible on a mobile device, and very quick to deliver that information clearly and cleanly. YPT: Will you be attending the upcoming YPA conference in Las Vegas? IB-M: Yes, Justin and I are looking forward to it. I’ll be hosting a talk on Tuesday morning and we will both be available at the Strategic Sessions on Sunday and Monday. The 2011 Yellow Pages Association (YPA) conference is fast approaching. This annual event will be held, Saturday April 16,to Tuesday, April 19 in Las Vegas, NV, at Caesar’s Palace. A focused, strong agenda which will give people specific ideas to bring back to the office. A strong lineup of speakers has been assembled. A recent addition is a keynote address from former Governor of Minnesota Tim Pawlenty, who has formed an exploratory committee regarding a run for President. Coming from very humble roots, Pawlenty has always been a strong supporter of small business, a key customer of the Yellow Pages industry. Through a balance of innovation and leadership he helped Minnesota balance its budget, cut spending, reform health care, and improve schools without raising taxes. Attendees will also be receiving copies of his new book, “Courage to Stand”, which you can get signed immediately after the close of the General Session on Tuesday, April 19th. Instead of the traditional exhibition hall format, YPA will again offer a unique concept used last year of “Strategic Exchange Sessions”. The new format was hugely successful at last year’s conference, and will continue in this year’s event. With an SES location, companies can make appointments with industry executives and set the stage for profitable business initiatives. The meetings are held in a suite, by the pool or in private table areas arranged for by the YPA staff. Norton noted that “many of the suppliers found it to be an incredibly productive business development effort. The opportunity to sit down with a key decision maker is what makes this structure so unique.” Of course, the level of interest in a supplier’s products or services will be the ultimate gauge for how successful these sessions are for suppliers and potential customers. Another staple of the conference are the Industry Excellence Awards which are the annual recognition point for excellence in the industry. Categories this year have been revamped to reflect the increased importance of digital media. All work and no play leads to a very dull industry event, so there are a few activities to have some fun and network further such as the BuyYellow.com Tennis Tournament, and what would a Yellow Pages industry event be like without a golf tournament such as the BuyYellow.com Golf Tournament which will be held at the Arroyo Golf Club. While the conference will also be an opportunity to understand more about the efforts of the YPA staff over the last year, Neg commented on one new effort that will be covered at the conference – a social media campaign test through Twitter that is underway with several national advertisers. It would drive ads to the front page of Twitter with links to a special landing page. To find out more you have to be there. Are you registered yet? What are you waiting for? Click here to complete your registration NOW!!! !